It’s all very personal really. But what can you do if you’re personally attached to a place, to the extent that it somehow defined parts of your life, influenced the choices you made? For me, that’s how my relationship to Florence is. It’s true that with the passing of time most relationships change and they get a different meaning, but what once finds a comfortable spot in your heart is really hard to get rid of. And Florence never gave me any reason for doing so. Some twenty years ago it was time for me to take my first steps away from home. For one or another reason the choice turned out to be a semester of studies in Florence, studying Italian. As a bonus, we also got art history classes, plenty of visits to museums and a deepened insight into what the city had to offer. You could say that I went to Italy with the goal of immersing myself in the world of calcio (that is, Italian football) and somehow I left with an added interest to the world of fine arts. And Italian food. And chianti. And so much else, including a way of looking at the world. Simply an interest for all kind of things and this curiosity was awakened during those months in 1994. Sure enough, with the passing of years I went back many times, I ended up working on the Mercato di San Lorenzo one summer, I managed to be better at Italian (which these days is maybe not what I want it to be, but still) and became a lifelong Fiorentina fan (but sure, before I forget, this post is about art, not football). What unfortunately also happened was that after university my links to Italy started to fade away a bit: be it for the political system or traditions, but Italy is not that welcoming to outsiders if you’d like to make an international career. What remained was my passion for the Tuscan capital. 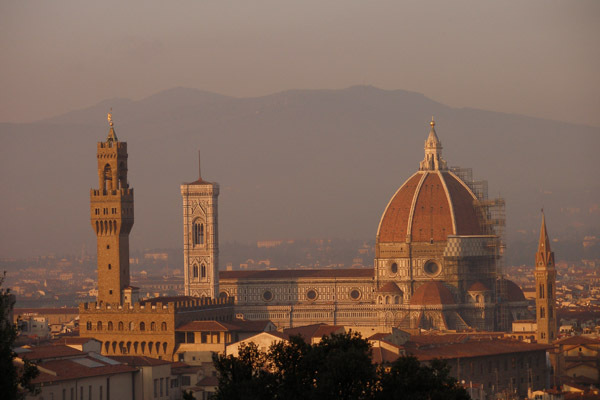 Florence isn’t a city that needs a long introduction for most travellers. While they say that Romans live with their city into eternity and Venetians get almost delirious from the thought of their sinking city, the Florentine pride is something pretty unique even for Italy. Some would almost call it arrogance, while others will approvingly nod to the sound of such a statement. Indifferently, the fact remains, it is a special city. It’s not such a far-fetched thought to consider our Western civilisation as something totally different without the Florentine renaissance that awakened the “old world”. Florentines are fiercely proud over this fact, and I’m proud of them for this, it’s really a sign that they will look after their place for a long time to come. This fact also results in a special relationship between locals and their visitors. While to some extent Florentines realise that without the visitors their economy wouldn’t be what it is, they can’t stop feeling occasionally a bit inimical to the busloads of visitors. If you live there for a while, you see why, there are the occasional disrespectful visitors for sure. But in general the symbiosis between the two parts is functioning well. ‘Art Destination Florence’ has so much to offer that even after several years in the city you are bound to find new sites you never heard of, details that keep surprising you. At first glance, you might fall into the trap of thinking that Florence is all about churches and Madonna pictures, but really, there’s way more to it. A lot of the sights are, of course, related to renaissance art; maybe not up everyone’s alley, but certainly of a beauty and variety that is extraordinary. There is of course the Uffizi, the Ponte Vecchio and above all, the Santa Maria del Fiore cathedral, with its Brunelleschi cupola, which for me to this day remains the most impressive architectural sight. But then again, I’m biased, aren’t I? I remember all those days when I wondered around and kept thinking: how did they manage to construct this gigantic masterpiece back in the early 15th century, without machines to help? In fact, I still wonder. It’s easy to assume that Florence still lives with at least one foot in the past. Strolling down the streets certainly gives you that feeling, and it’s a feeling I like a lot. Try wandering away from the busiest streets, leave the tourist routes behind and you end up in a different world. In fact, this remains one of my favourite memories from my Florentine days, all the aimless walks around the different neighbourhoods of the ‘centro storico’. But Florence can be a different art destination too, it also has a more contemporary side that will surprise you, like the Palazzo Strozzi. There’s more that you would be surprised to find, if you don’t know where to look. Since 1997, there’s also the biannual ‘Florence Biennale’, an initiative that serves as a clear sign that the city is striving for a place in the presence as well: in recent years Florence has been working hard at establishing itself as a voice to count on in the contemporary art world and not only being connected to its Medici-days. 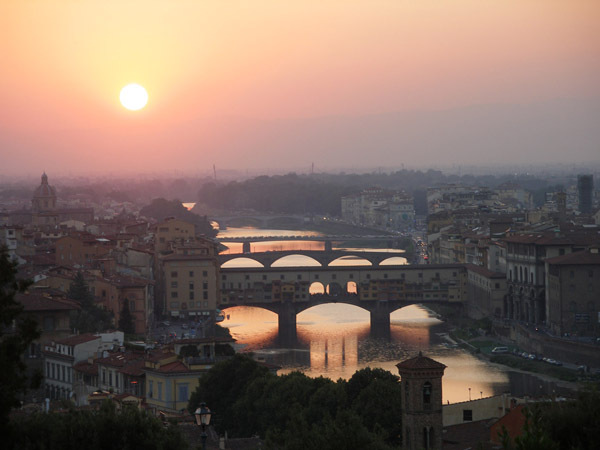 Thus, it’s no surprise that here at Art Weekenders Florence will rank high on the list of favourite art destinations. We will take you there to experience the classics, but you can just as well be assured that we will try to introduce you to some slightly less known experiences. 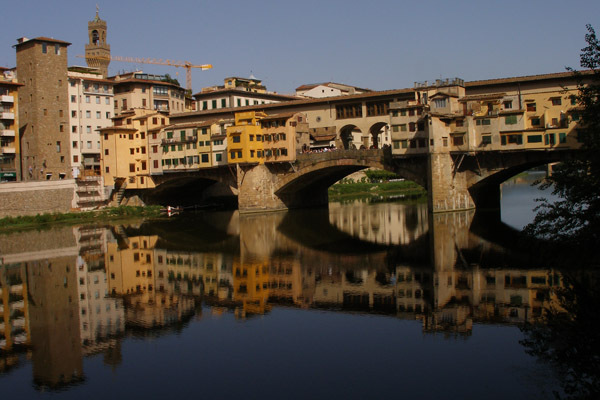 We are adding new content about Florence regularly, this is only the beginning. To stay on top of new stories and information, please follow us on Facebook, Twitter or Google Plus. To receive our newsletter with stories, special offers and previews of upcoming events from around the world of art and culture: please subscribe here.